From carpal tunnel syndrome to tendonitis to tension neck syndrome, musculoskeletal disorders are the most frequent type of lost-time injury and the single largest source of lost-time costs in Canada. 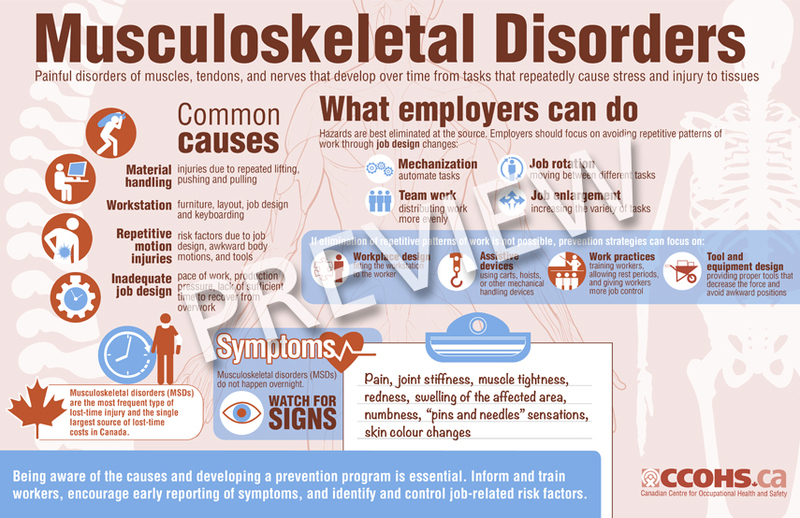 Share this infographic outlining common causes and symptoms, and some actions that employers can take to address this issue, including the development of a prevention program and encouragement of early reporting from workers. We also offer a fast facts card of this infographic for handing out at work.